ISIS is about to get a taste of Russian vengeance! 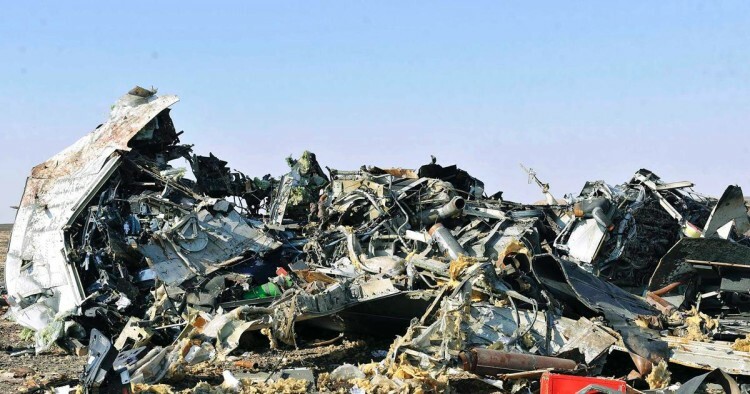 After a Russian charter plane flying over the Sinai Peninsula in Egypt crashed this Saturday, killing 224 passengers and crew members, the Islamic State group rushed to claim responsibility, citing President Vladimir Putin’s recent incursion into Syria as justification for its actions. According to a LiveLeak report published later that evening, Putin allegedly planned to respond by nuking Islamic State group militants into smithereens. “In response to the purported downing of a Russian civilian airliner in the Sinai in Egypt, the Kremlin is now poised for a nuclear strike on sites controlled by the Islamic State,” LiveLeak reported. The site also claimed that Russia had begun “moving its tactical nuclear units closer to its international boundaries” and that military officials were evacuating Russian nationals from Middle Eastern nations such as Syria and Iraq. Russia also reportedly warned its allies in the region to move their civilians from areas that might be struck by its nuclear arsenal. None of this has been corroborated by major media outlets. Nor has it been established that the Islamic State group was even responsible for the downing of the flight in the first place. In fact, The New York Times reported that both airline officials and American intelligence officers “have expressed skepticism about the assertion by the Islamic State,” as there was no evidence to substantiate the claim that the terrorist group somehow caused the crash. If, however, it turns out that militants did down the flight, then President Putin may be prepared to strike back with nuclear weapons — something that our own president, Barack Obama, would certainly never do.